August 2015 - ID Studios, Inc.
We’d like to announce New Associates at ID Studios! Since joining the firm in 2006, Jill has steadily progressed in her design career, specializing in corporate and higher education projects. In addition to her leadership as a mentor, Jill organized the internship program at ID Studios and led the program for 5 years. She has played an active role in the design community participating in IIDA, Tables for Tots, We Care and was recently featured in Design Institutes’ “Interior Design Trends of 2015” article. As part of her on-going community outreach, Jill has been a volunteer for Eldercare for the last 16 years. Jill earned her BFA from the Design Institute of San Diego, is a Certified Interior Designer in the state of California, and is NCIDQ certified. Her knowledge of Interior Design, Tenant Improvements and FF&E services for Corporate and Education projects brings consistent praise from the clients she works with which include companies such asLYTX, CoreLogic, Morrison & Foerster, and San Diego State University. Andrew has over seventeen years of experience in Interior Design and has been with ID Studios since 2007. 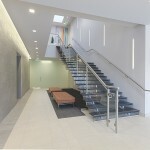 His creative and out-of-the-box thinking has enhanced the firm’s design sensibilities through innovative use of technology. Besides being ID Studios’ resident brew master, Andrew advises on design improvements and firm standards. Andrew heads up our firm’s visualization services on numerous projects. His extensive knowledge of 3D modeling and rendering software enables our clients to experience spaces early in the design process, most recently with LBA Realty‘s Rehco Road Repositioning and Drawbridge Realty‘s Discovery Center Refresh. Andrew has been a design leader on notable projects such as Swinerton Builders’,Gerrity Group and Entropic Communications. He has worked on both the east and west coasts, starting in Virginia where he received his BFA in Interior Design at Virginia Commonwealth University. Andrew is NCIDQ-certified and LEED AP. Lori brings over twenty-one years of expertise in designing and managing a variety of project types. Since she joined ID Studios in 2008 she has enhanced our breadth of experience to include Hospitality and Healthcare design. She consistently and creatively collaborates with some of the firm’s most significant clients including recent work for Arrowhead Insurance, Moss Adams, Coastal Surgeons, USD Nursing School Expansion, and the soon to open Mesa College Cafe/Bookstore. Clients tell us how much they appreciate her creativity and attention to detail. Lori has been an active member of the architectural community participating in the San Diego AIA and ULI. She finds inspiration and often her best ideas from her extensive world travel. She holds a BFA from the Design Institute of San Diego, is a Certified Interior Designer in the State of California, NCIDQ certified, and worked previously as a business professional with a BS in Business Administration from SDSU. Deborah Elliott, CID, NCIDQ, LEED AP, President and Co-founder of ID Studios. 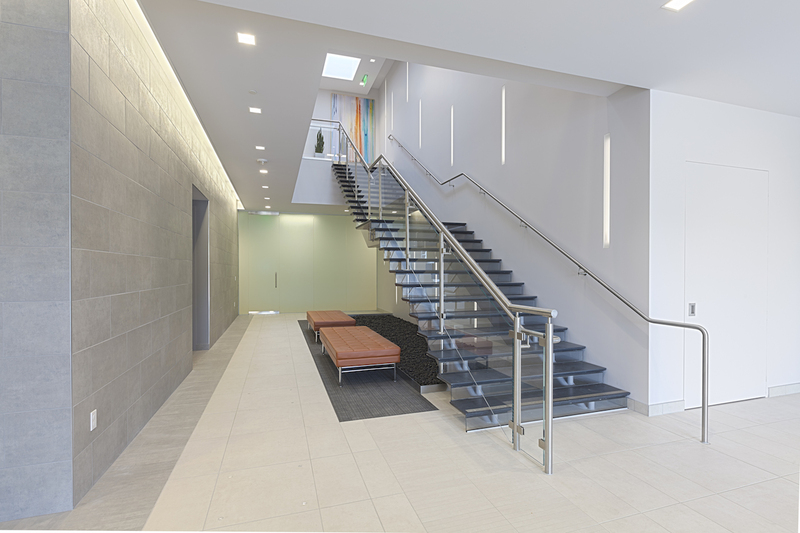 ID Studios worked with Ferguson Pape Baldwin to refresh BioMed Reality’s Road To The Cure building which was recently awarded the “Design Award of Merit” by the Society of American Registered Architects California Council (SARA CC). You can see pictures of the project here.